Hebrew calligraphy is an artistic endeavor. Show you care with a Jewish gift of stylish, timeless calligraphic arts, suitable for museum-quality matting and framing. 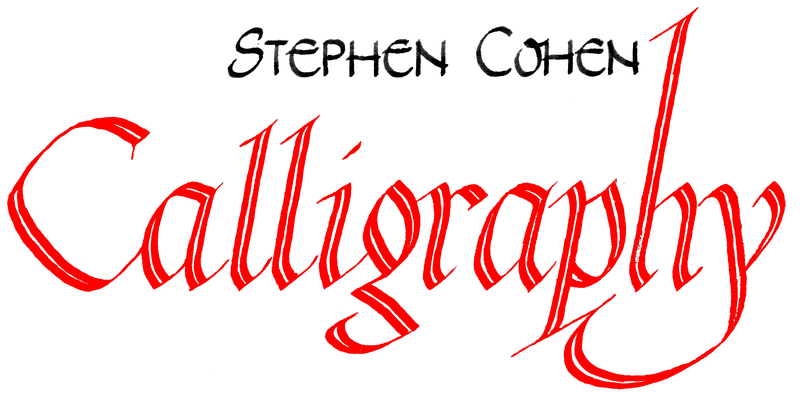 All my Jewish calligraphy is custom-made to your order, using the highest-quality inks, papers, and illumination.